Office design should be cozy but productive! For a long time, office hasn’t been a place just for working. Especially as people can now work wherever and come together just to achieve a sense of unity and to meet with customers. But have we done everything to make it easy for people to work in the office and make them want to come back there constantly? And does the office also contribute to our goals? Teamwork is based on collaboration and it has long been thought that open-plan offices will help to make it better. Recent studies, however, point to the opposite and more and more are said that not all people can and should work in an environment that boosts rapid response and constant communication. Such arrangements are particularly inappropriate for those who are expected to focus on details or have to do creative activities. This does not mean, of course, that all open surfaces should be closed because the open plan also has its own charms. 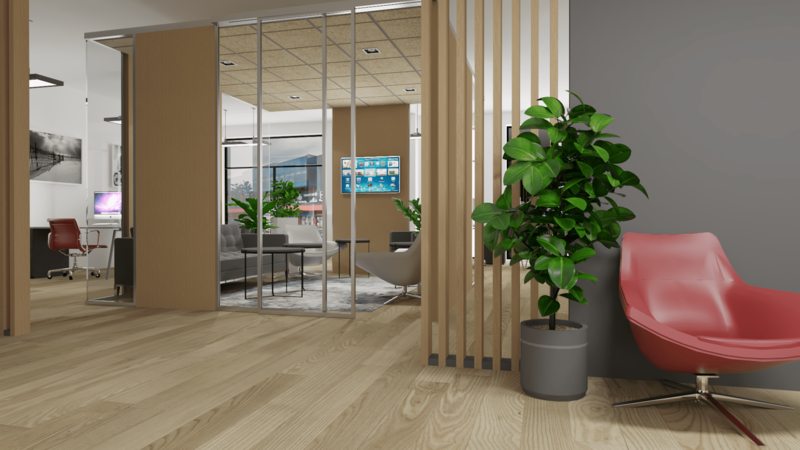 Rather, it is worth paying attention to a more flexible room plan by creating both open workspaces for general work and quiet areas for those who prefer to work in a less noisy environment. However, as offices are often located on rental premises, it may be difficult to build partitions and cabinet rooms into an open plan space. 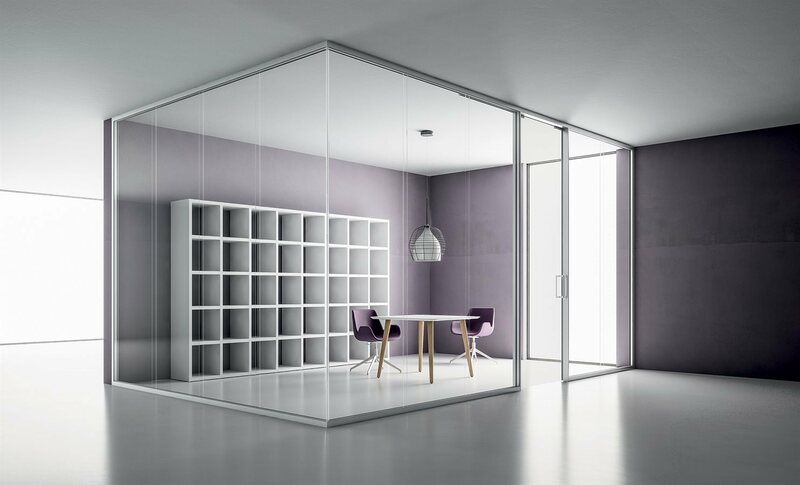 In this case, it is best to use glass partition walls with sound-absorption. They leave the room open, though helping to solve noise problems. Among other things, such movable partition walls are also an excellent solution for meeting rooms. Alternatively, acoustic panels can be used to separate existing workspaces, both visually and in sound. Among other things, this solution gives the possibility to easily relocate the space by moving the panels into different places. In the wider world, as well as in Estonia, a mindset is spreading of how the place and the way the work is done is not important, and the main thing is the sense of belonging into a team and a great mission. Temporarily, it may be enough, especially for a team that has come together to spend their days and nights building a company from scratch. However, our experience shows that good interior design also helps people achieve better and more sustainable results at the earliest stage. Since not all the specialties and tasks are the ones that can be done from a beanbag and with a laptop, special needs should be emphasized. In some cases, those needs are limited to a larger table where a person can also sketch, draw or have multiple monitors. Often, it also requires cabinets of the right size and peculiarities to store all kinds of materials, books or documents. In this case, attention should also be paid to the fact that some things may be more often needed than others, so some of the cupboards should have open shelves. However, it is worth paying attention to the ergonomics of the furniture, so that those who have to work sitting at a table for many hours could maintain a healthy posture and be able to continue working for as long and worry-free as possible. The entry of new generations into the employee market has brought many new working methods. Among other things, the office is no longer just a practical place to do the job, it has to have a cozy atmosphere. For example, there is a growing trend where office workers prefer to work from home. 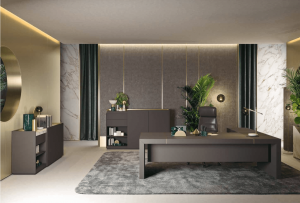 However, this mainly refers to the fact that the usual working environment is not attractive to employees because of the lack of comfort and cosiness of a home. At the same time, however, this leads to the alienation of team members, because just communicating through a chat doesn’t really maintain the feeling of belonging to a team for long. Therefore, office space needs to be made homier for attractiveness. 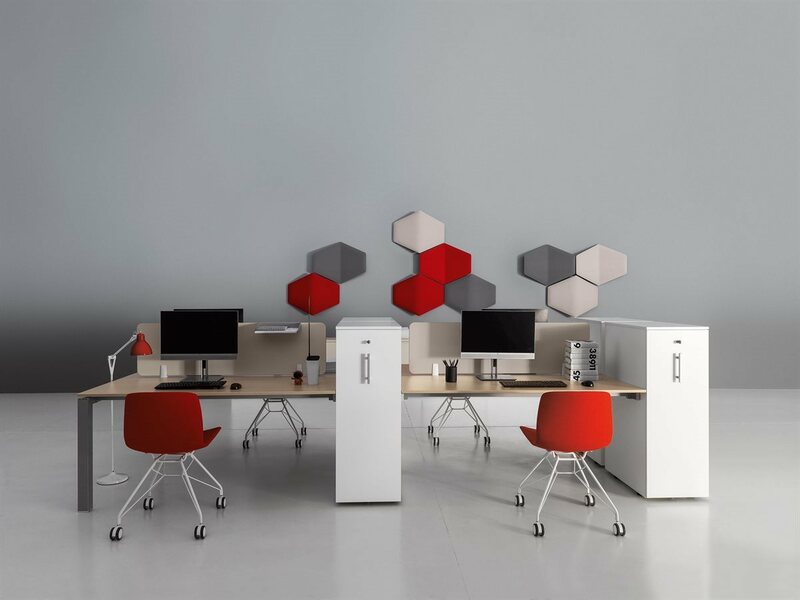 This can be done by blurring the boundary between furniture suitable for home and office. The easiest way to do this is to use soft textile blinds, carpets, cushions, comfortable sofas and armchairs in the office, or by incorporating some decorative pictures and houseplants. In addition, walls can also be finished with wallpapers. Businesses should also pay more attention to the commerciality and creative design of their interiors. Creative interior design solutions, incorporating corporate culture and personality, carry the emotion forward to existing and new potential customers and thus help to shape the company’s image. Therefore, it is worth paying attention to a well-designed reception or client waiting areas. Starting with the use of company logo tones, for example, one could think of bringing out values in creative ways. We also recommend putting emphasis on key elements such as tables and chairs that could create a wow effect. Unfortunately, during our 15-year history of operation, we have seen many offices where it is obvious that there is no purpose for interior design at all. Here are some of the most common examples of all the mistakes that are made in designing an office. Every company that respects its money and time sets the focus. Often, however, we see that manufacturing companies put all the emphasis on production – including production facilities and machines – ignoring all the spaces where it is actually operated. 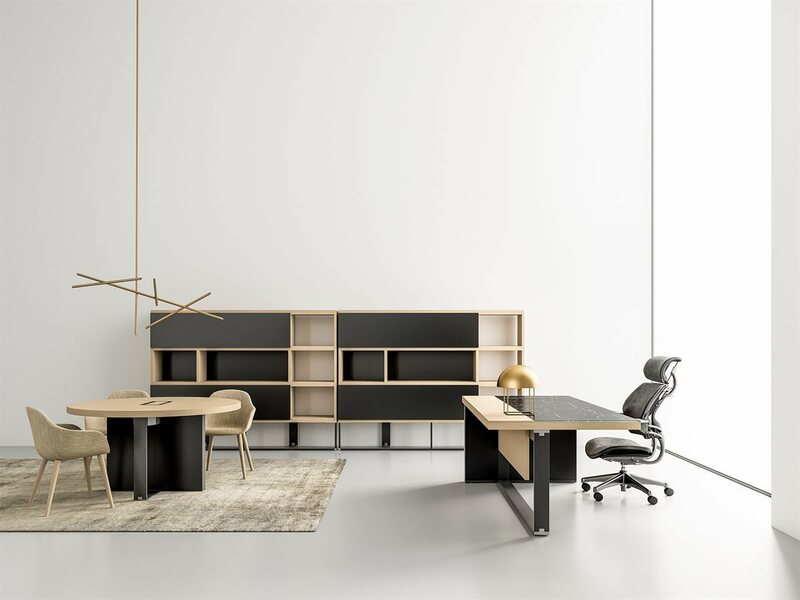 In such cases, the office space is mostly laconic and bleak places with cheap finishing materials, bare walls, technical lighting and simple serial furniture. However, this is not the place where you would like to sit down for half a day, which is indirectly also causing lower productivity. 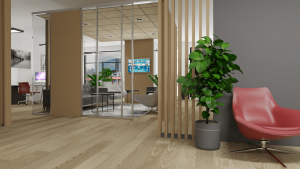 Without significantly increasing the interior design budget, the office space can be made more vivid with a slightly more lively floor and wall materials or wood decorations. For example, a veneer panel or a fibreboard suspended ceiling makes the room much cosier than a conventional white modular panel, while also being quite inexpensive. Some luminaires could also be hanging from the ceiling rather than conventional industrial solutions. Staying in the box and using standard solutions year after year. The fact that fifteen or twenty years ago you could only get a certain type of boring furniture does not mean that today you should use the same solutions. 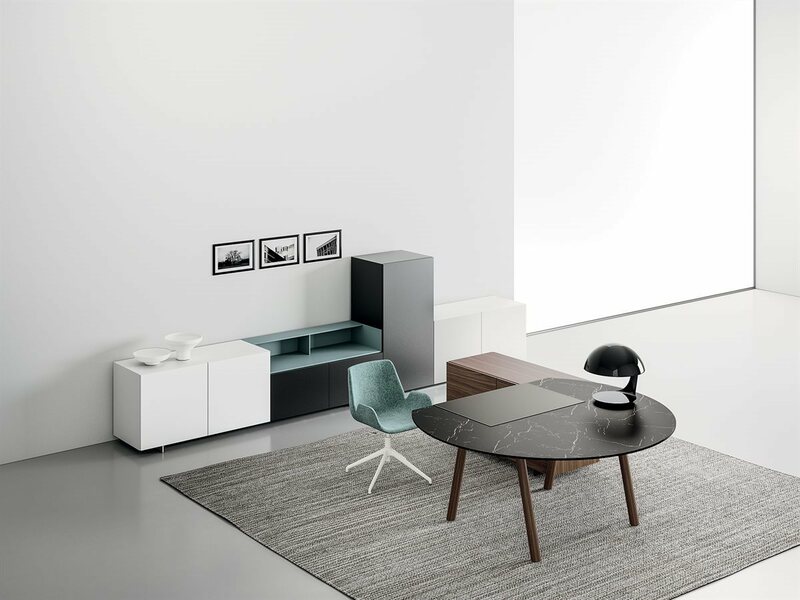 Just like the tools and technologies are constantly changing, the trends in furniture and room design are also. And it’s all worth following because with the trends, people’s expectations for their environment have also changed. So why not bring the trendy materials that are mostly seen in our homes, into the office. For example, using marble, adding copper and gold details, using velvet, strong colors in accent walls and exciting forms of lighting. This is all for creating accents in the office and personalizing the rooms. Contrary to staying in the box, the interior design may also fail if you want to put too much exciting stuff into the room at one time. Occasionally, chairs are chosen with a good design, but not suitable for flooring and table height. Sometimes there are also design elements that are simply unnecessary, take up too much space, or don’t have a practical purpose. When designing any room, we think we should first focus on practicality – the space should be used properly, but at the same time, there should be no space missing. So we are in favor of creating every room by designing and furnishing it so that we can first identify the needs and expectations of the employees who work in the room. Then we should concentrate on creating solutions that meet these needs, while also adding personal elements that make the interior live and fit with the practical solutions. If you read something, with what you need more advice or help, contact Palazzo Interiors interior architects.